Every so often a book comes along to shake up storytelling. This seems to be one such book. The premise is relatively simple. 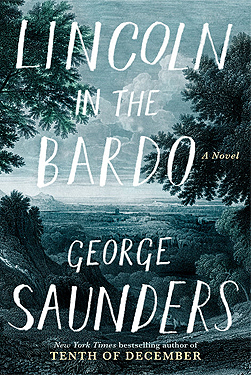 Set in a cemetery at night, a grieving Abraham Lincoln visits his eleven-year-old dead son who is caught in a nasty and unpleasant realm called a Bardo. Ghosts, who for some reason think they’re not dead, roam freely around the cemetery. This was a bit of a stretch, but then, this is the fantasy part. The reader is bombarded with a cacophony of ghostly characters (said to be more than 150) each voicing their thoughts and anguish as lost spirits caught in between worlds. The reason is not altogether apparent to them (or the reader), but it seems they’ve done something bad somewhere in their lives. Most of the narration is dominated by three men and female spirits are few. Perhaps, I like to think, they are generally good souls who have gone straight to the afterlife, while the rest are not. I’d heard about this Booker Prize winning novel and thought the premise had merit. Not being terribly familiar with American history of the Civil War, I expected to learn a lot. From the first few pages, I became hopelessly confused with the one or two-line dialogue per character. I read a review which explained the book and then I re-read the beginning again. Maybe it’s me, but should I be confused about what’s happening and have to resort to someone else to explain? Other sections of the book were excerpts from essays, books or newspapers of the time. This was interesting and clever of Saunders as it gave an insight of how history is interpreted depending on what side you’re on. There’s not much of a plot or development of characters and none that you really warm to. Although I did feel something for Willie Lincoln, the son. But I guess this was not the intention, after all, this is not a book like any other. The reader must work at it and read carefully even when some parts make no sense or may seem superfluous. I confess to skimming sections yet being thoroughly absorbed in other parts. The writing is good and reads almost like a play, poetry and encyclopaedia all rolled into one. There’s humour, amazement, frustration and boredom. The reader is provoked and prodded but I’ll admit, I almost gave up. Yes, it’s not like any other book I’ve read before. I know this book is acclaimed and lauded by many others who loved it. Did I enjoy it? I can’t say I did. It was adequate enough for me to have finished it. Maybe I should re-read it again. It probably warrants it. But there are too many other books more worthy of my time. A word of advice – try and read it in one sitting. I think it might work better than a few pages a day. This entry was posted in Book reviews and tagged Book reviews, books, historical fiction, Man Booker Prize, Reading on February 16, 2018 by S.C. Karakaltsas. North Water is another book shortlisted for the Man Booker Prize in 2016. 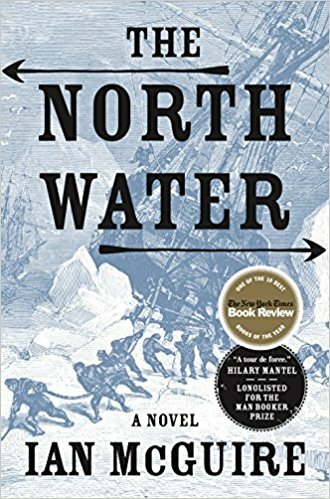 Set in 1857, the story is about a whaling expedition which goes horribly wrong. There is conflict between two main characters, Drax, a disgusting and violent man and Sumner, a doctor. The opening line “Behold the man” sparked my interest. The next paragraph led me down a path of the grotesque. The ensuing pages unfolded such violence, savagery and cruelty that I was tempted not to read on. Drax and Sumner have dubious and contrasted pasts but we only learn about Sumner. I wondered what must have happened, for a man to become like Drax, who in the end, like the rest of the characters, I cared nothing for. This book without formal warning is not for the faint hearted. I wondered if it was necessary to describe the killing of baby seals in such horrific detail. For me, this sort of violence was unnecessarily graphic and added little to the plot. Toning down the violence would have enhanced the book. The reader gets that it’s a tough life and harsh conditions without it being rammed constantly down our throats. The only thing that compelled me forward was the fact that there was another purpose for the expedition which becomes clear half-way through. Getting past this point, the story becomes one of survival which gripped me until the end. I wanted good to overcome evil and was rewarded for my patience, but what a journey I had to take to get there. Well written with evocative language, the fact that I shivered with the men in the freezing conditions, is a testament to where the author wanted me to be. This entry was posted in Book reviews and tagged Book reviews, books, Man Booker Prize on September 7, 2017 by S.C. Karakaltsas. 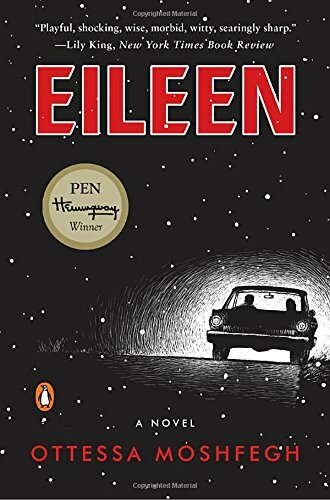 I finished Eileen a little while ago and mulled over what to say. Short listed for the Man Booker Prize 2016, it’s a story about a girl trapped in a dreary life, caring for her alcoholic father at night and working as a secretary in a dead end job in a boys’ prison during the day. 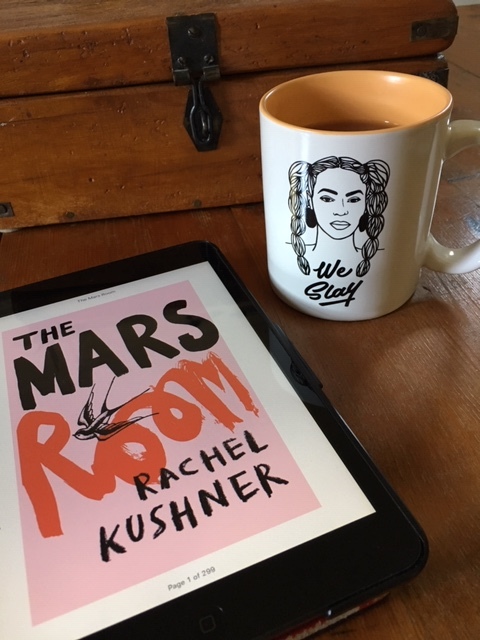 She dreams of breaking free and after meeting the beautiful and smart, Rebecca, is pulled unwittingly into a crime with unexpected consequences. Eileen is not a girl you can like nor is she a girl with too many redeeming qualities. But she is a girl, who at certain times in our own lives, reflects a tiny, teeny bit of ourselves. She has the maturity of a child in the body of a woman, full of uncertainty, yet so seemingly self-aware of every one of her flaws, and there are many. The story drags at times and much of her thoughts and inadequacies become repetitive, so much so, that even if I wanted to like her, her character allows no-one to feel pity. I admire the author’s ability to get deep inside the head of this character. Except for the contrasting Rebecca, grotesque glimpses of other characters are a mere sideshow to Eileen and her obsession with self. We’re left wondering about Rebecca and whether Eileen in her final act was ever truly empathetic for anyone else. I think not. Overall, a challenging read but I’m glad I persevered. Did I like it? I can’t say I did, but then everything we read shouldn’t be about entertainment. It took me out of my middle class comfort zone that’s for sure. Well done to the author. This entry was posted in Book reviews, Writing and tagged Book reviews, books by women, Man Booker Prize, Reading on August 16, 2017 by S.C. Karakaltsas.